Forward Operating Base White House in Helmand province, Afghanistan, serves as headquarters to 1st Battalion, 8th Marines, which oversees combat operations in Kajaki district. in the Kajaki district home of 1st Battalion, 8th Marines out of Camp Lejune, holds the most some of the most northern positions along the Helmand Province border. 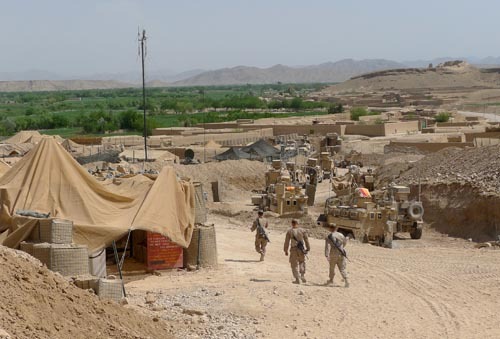 FOB Whitehouse in Kajaki, Afghanistan on April 08, 2012.